Next message: [DeTomaso] NPC // I need eyes on inspection of a car in FL. >> A unique 1967 Ford Mustang Shelby GT500 Super Snake sold at an auction for a record $2.2 million. >> A legendary Ford Mustang sold for a historic price at the Mecum Auctions event in Kissimmee, Fla <https://www.mecum.com/lots/FL0119-359599/1967-shelby-gt500-super-snake/>., on Friday night when the bidding ended at $2,200,000. 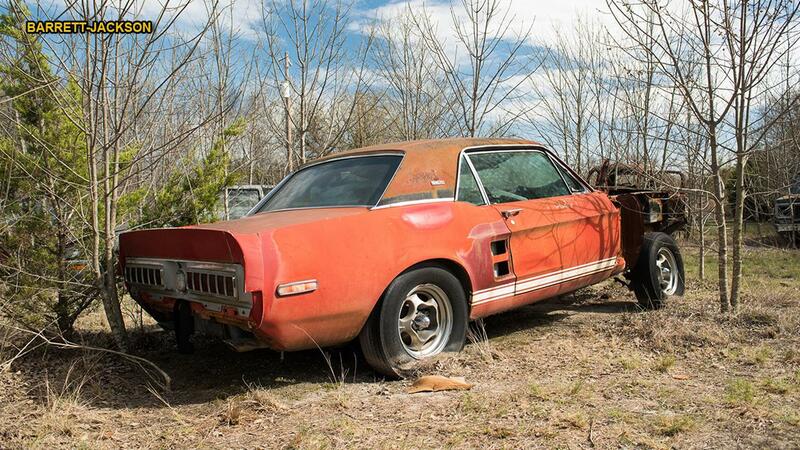 >> That made it the most expensive Mustang ever sold at auction, and with good reason. >> The Shelby Mustang 1967 GT500 Super Snake <https://www.mecum.com/lots/FL0119-359599/1967-shelby-gt500-super-snake/> was a one of a kind prototype that Carroll Shelby had built for a tire test conducted by Goodyear. >> He swapped out the GT500’s already potent 428 cubic-inch V8 for one of the 427 cubic-inch racing V8s from Ford’s Le Mans-winning GT40 and updated the rest of the powertrain and suspension to match. >> The result was a Mustang coupe that could hit 170 mph and averaged 142 mph over 500 miles at a high-speed track in Texas where it was running on a set of Goodyear’s new whitewall Thunderbolt economy tires. >> The initial plan was to build 50 of the cars for sale, but at an estimated double the price of a standard GT500 there weren’t enough takers and the sole prototype was sold for just $5,000. >> And driven hard. It was used for drag racing, and amassed 26,000 miles on its odometer while changing hands several times over the years. >> It’s now been restored close to its original state with a few period correct parts and what may be the last existing set of Thunderbolt tires, which were found in a warehouse in Akron, Ohio, several years ago. >> The auction sale shattered the old Mustang record, which was set by this very car at a Mecum auction in 2013, where it went for a mere $1.3 million. Bidding on another prototype Shelby, the so-called ‘Green Hornet’ 1968 EXP 500, reached $1.8 million at an auction in 2013, but fell short of its reserve price. for a record $2.2 million. updated the rest of the powertrain and suspension to match. on a set of Goodyear's new whitewall Thunderbolt economy tires. takers and the sole prototype was sold for just $5,000. on its odometer while changing hands several times over the years. fell short of its reserve price.